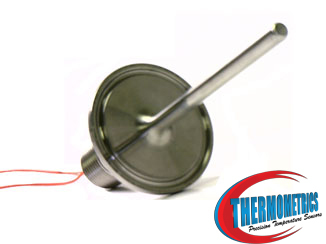 Thermometrics provides many temperature sensors for the specific needs of the pharmaceutical industry. 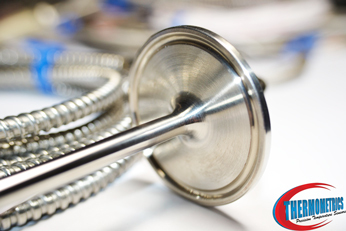 For sanitary applications, we produce a line of pharmaceutical sanitary sensors with connection heads. Many of these sensors are available with transmitters. We also produce a line of sensors that can be flush mounted to the interior wall of a storage take. This then allows the sensor to measure the temperature of the material without penetrating the inside of the vessel. Other sensors are designed for immersion or surface measurement in the injection molding and packaging side of the industry.